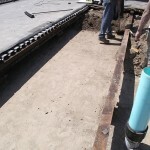 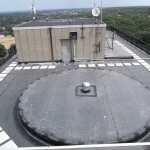 In our 33 years in business, this was one of the most difficult projects we have ever taken. 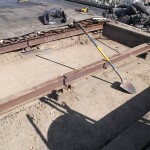 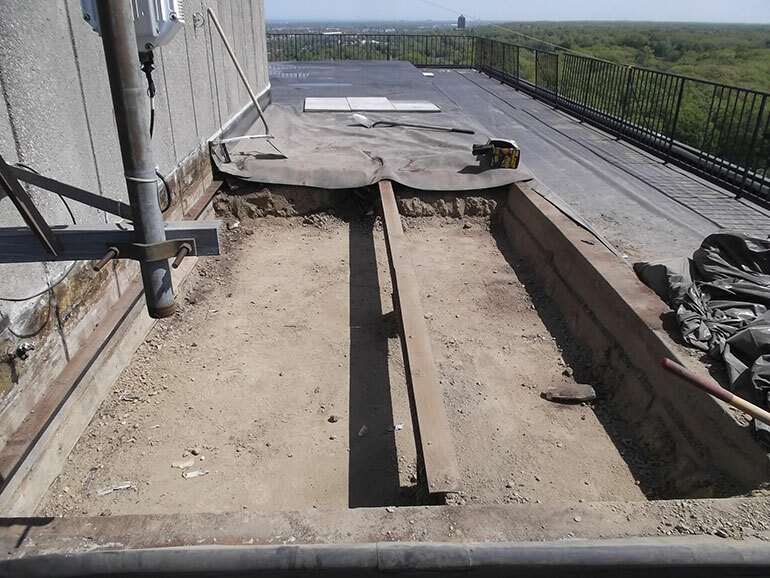 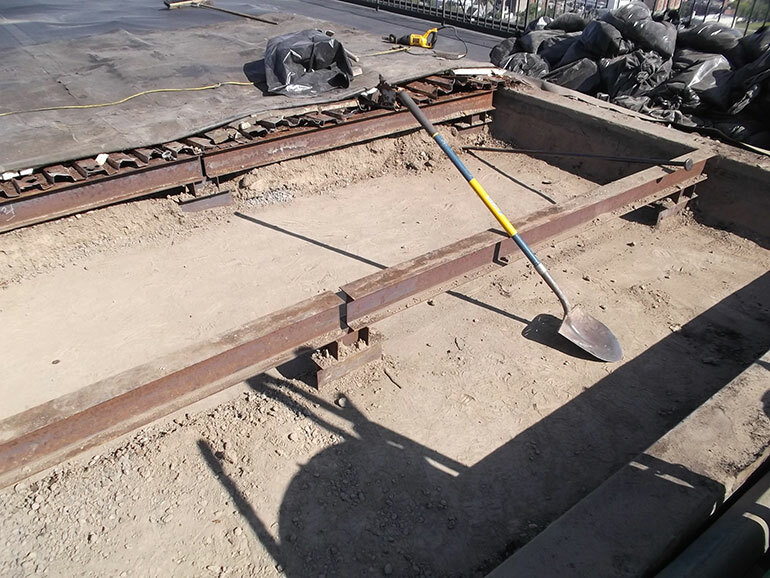 30 stories high, areas of bad steel decking, over 100 tons of dirt to be removed under the bad decking, an absolute nightmare !! 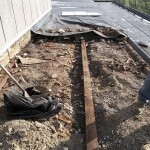 After starting the project, we discovered the dirt under the bad decking. 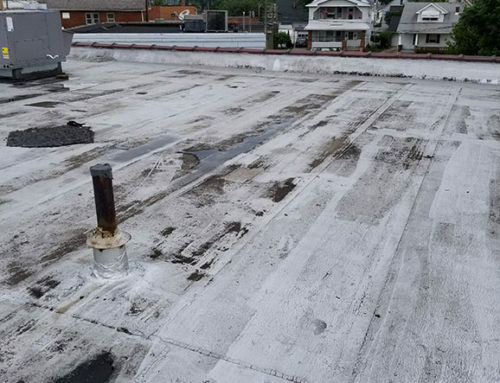 We had no other choice but to remove it. 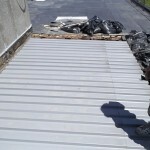 It was a very time consuming, labor intense project that took over a month. 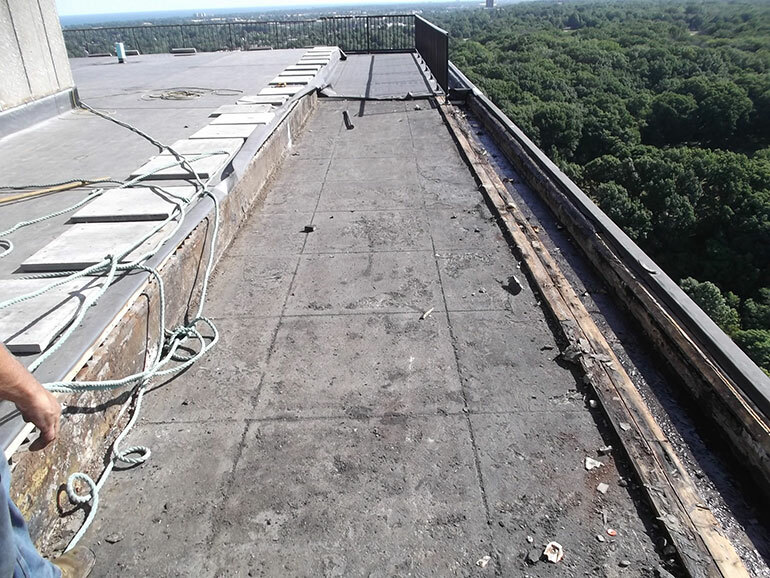 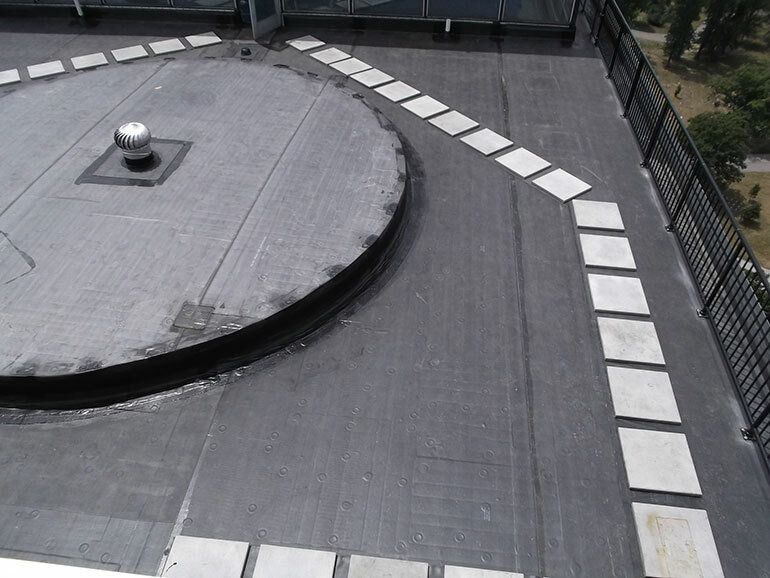 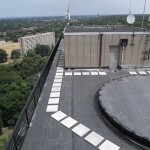 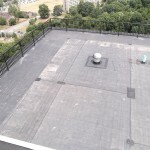 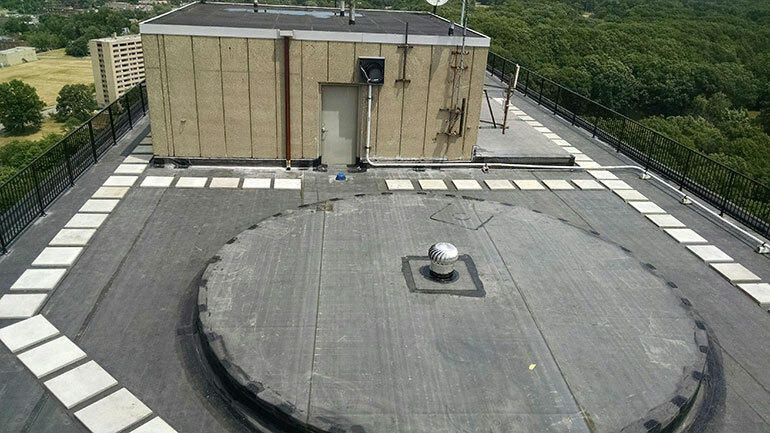 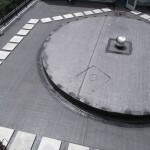 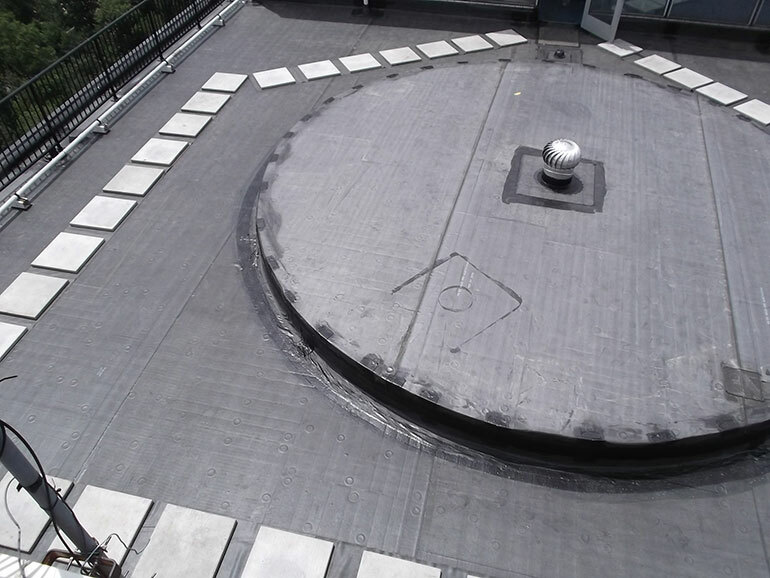 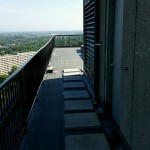 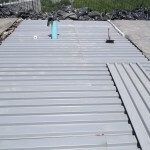 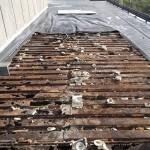 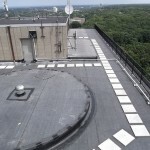 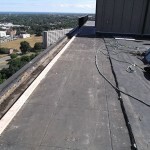 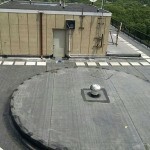 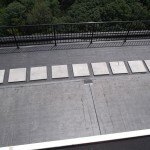 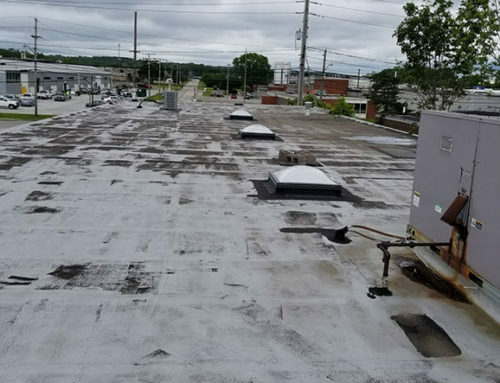 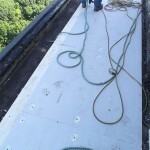 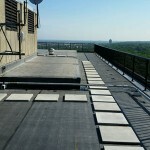 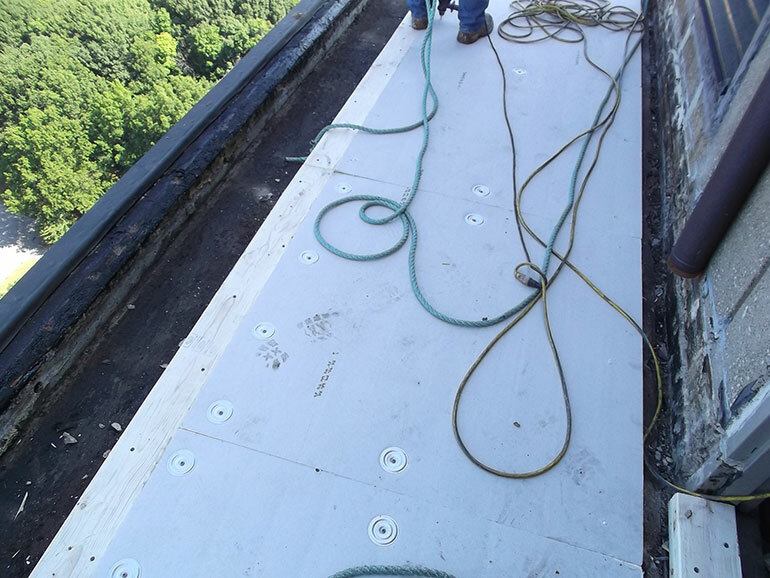 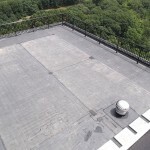 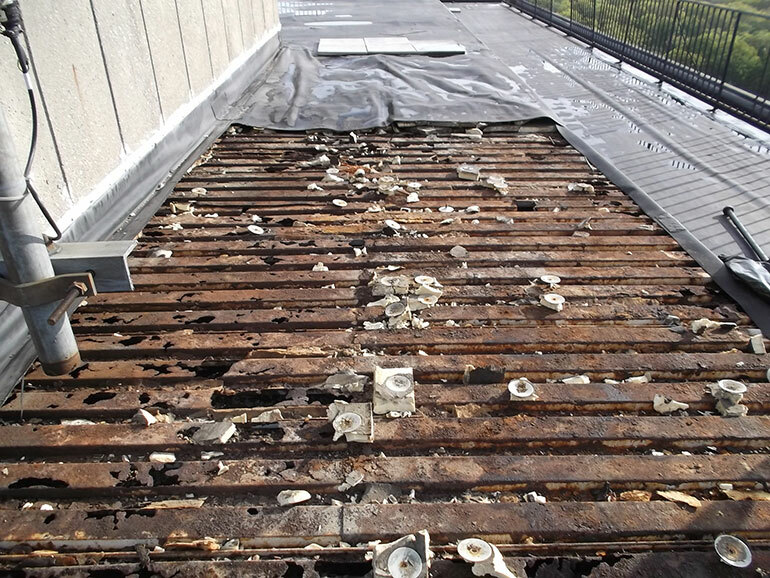 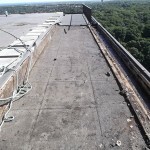 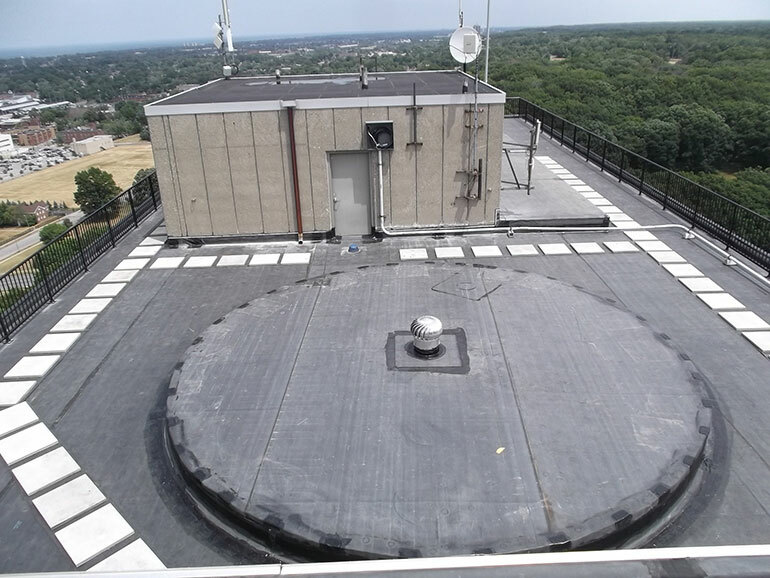 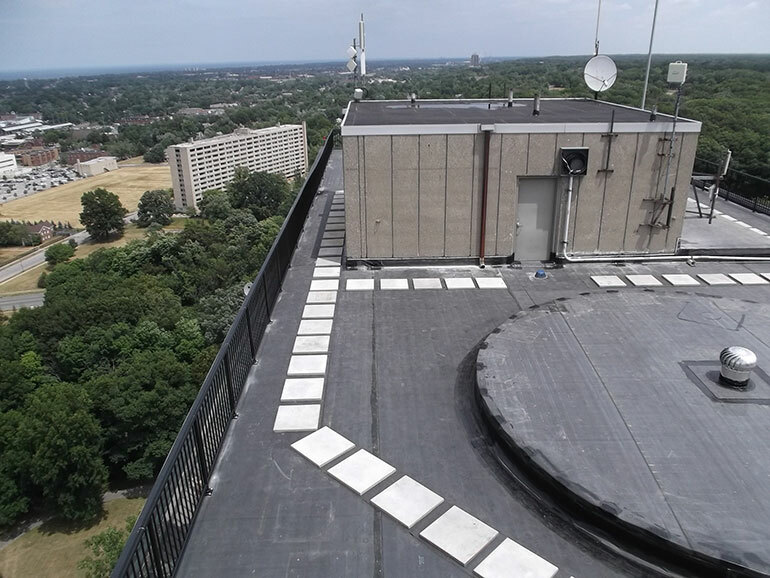 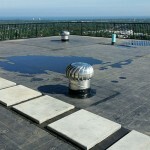 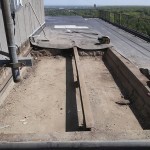 We replaced the roof with a Versico isocyanurate insulation specifically designed for the high winds at 300 feet high. 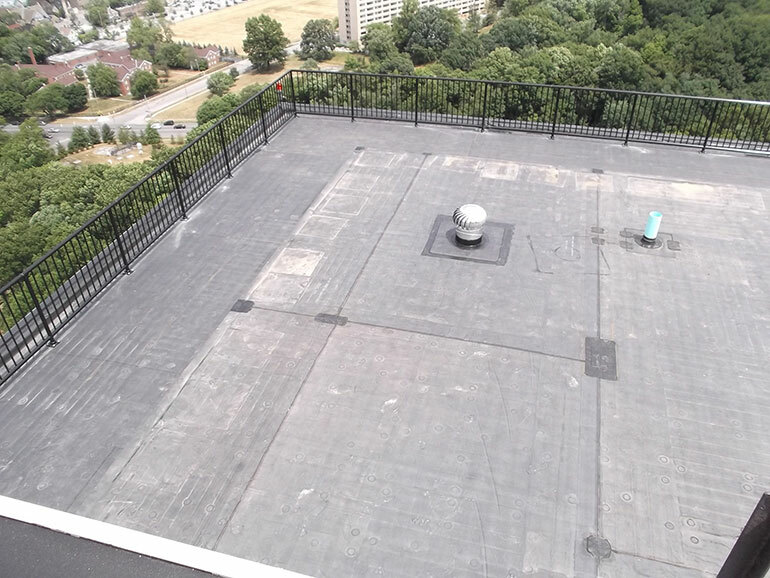 We then installed a fully adhered .060 Versico EPDM full roof system including an engineered railing for the perimeter of the roof. 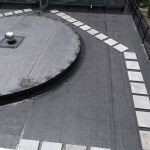 The project went very well, and the customer is very satisfied. 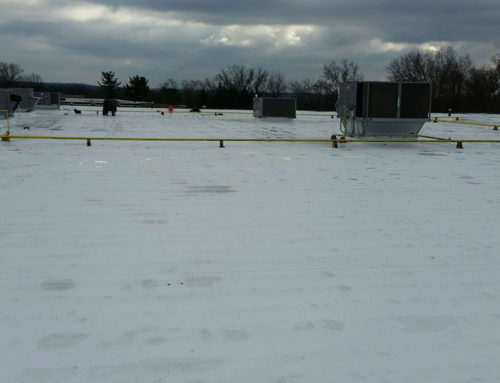 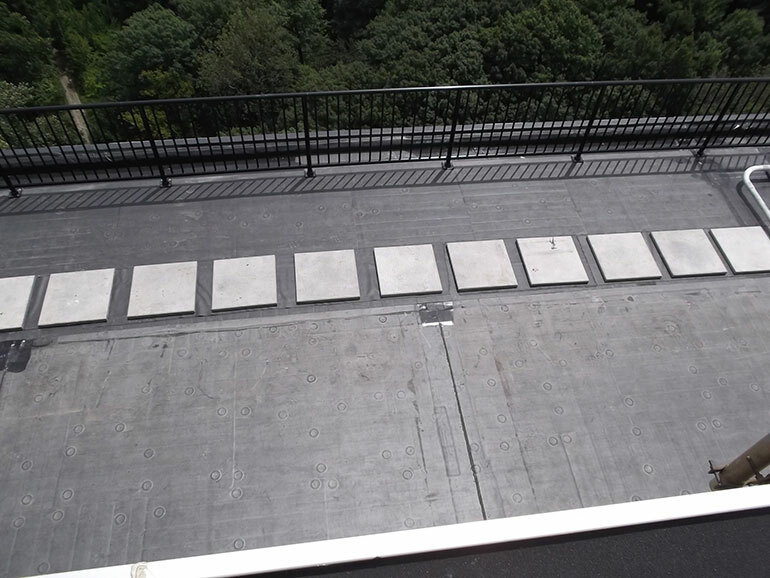 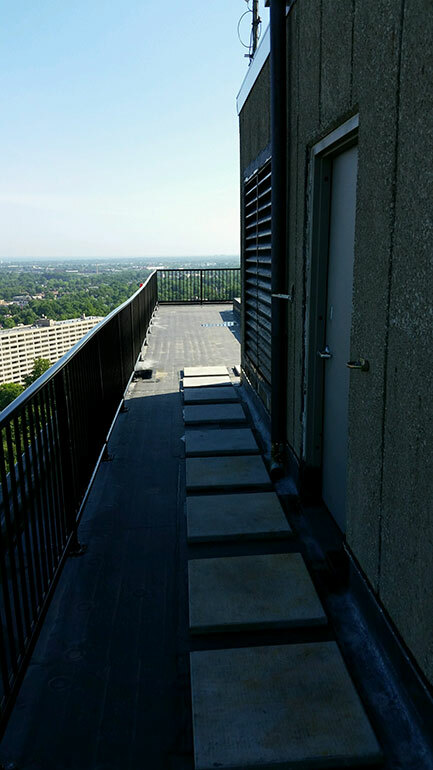 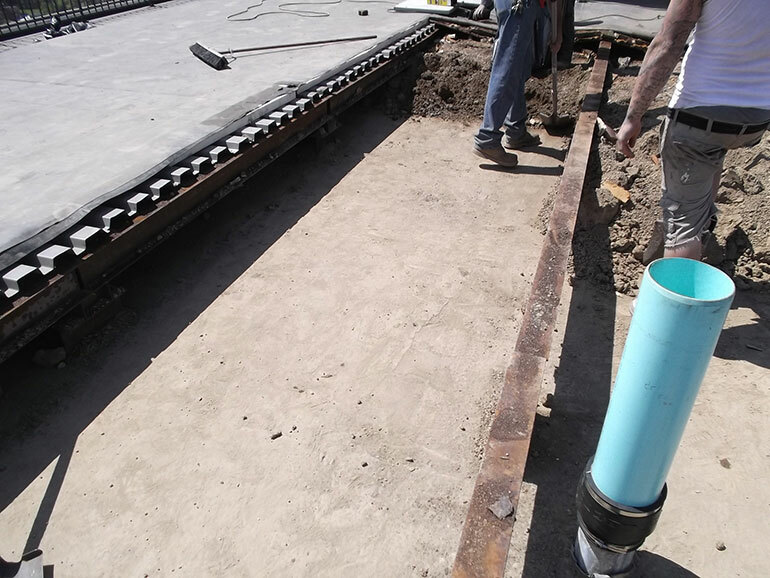 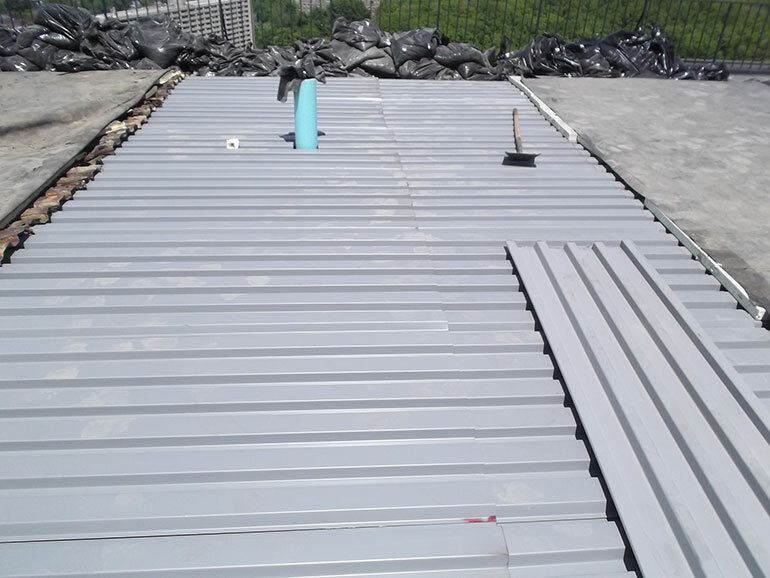 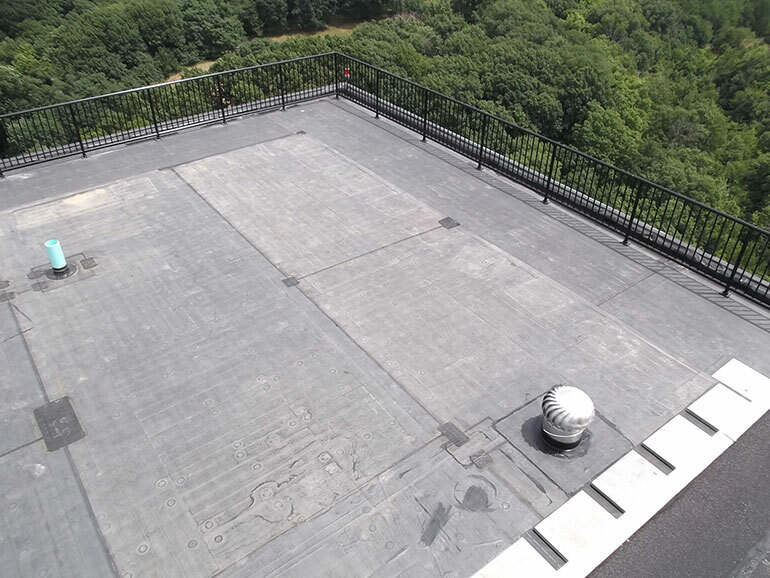 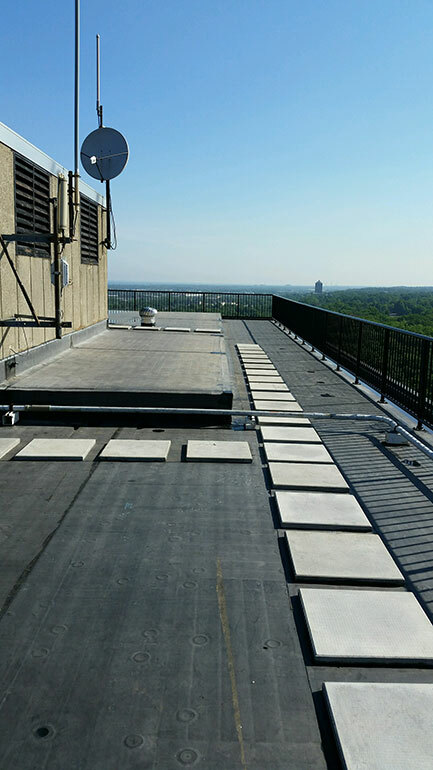 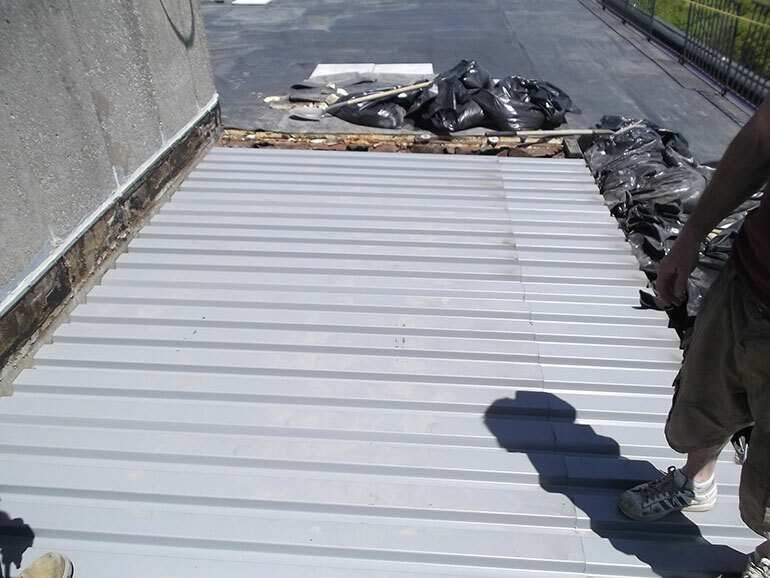 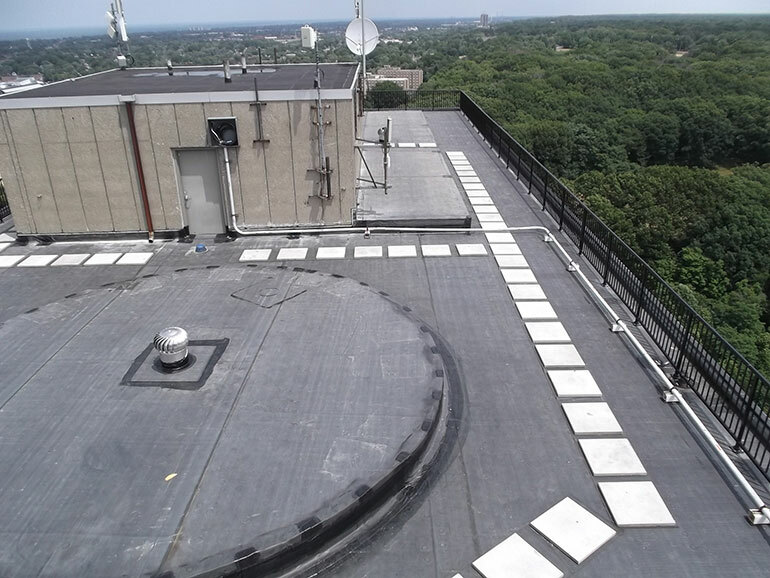 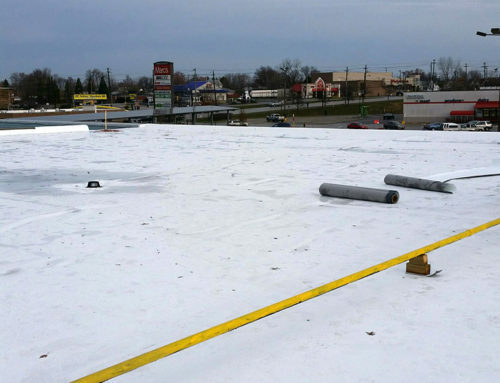 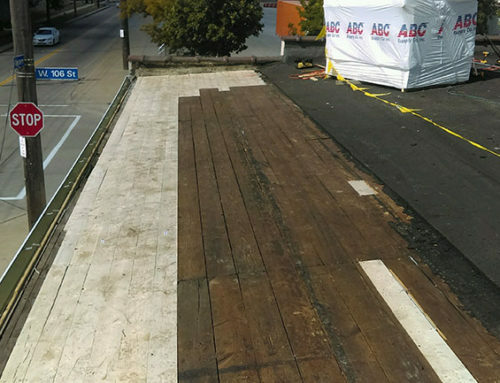 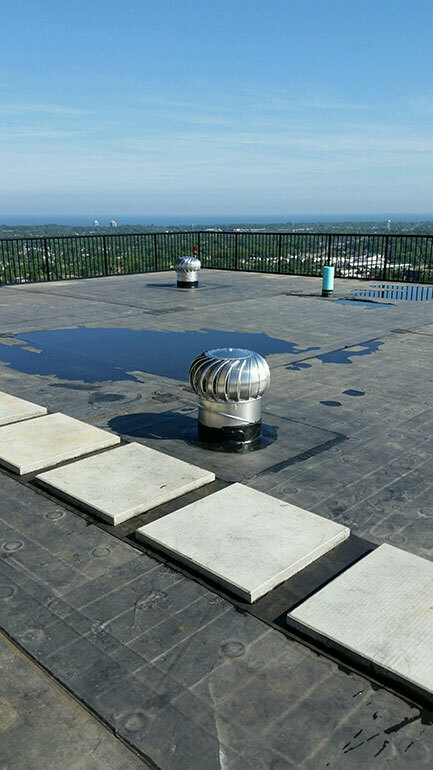 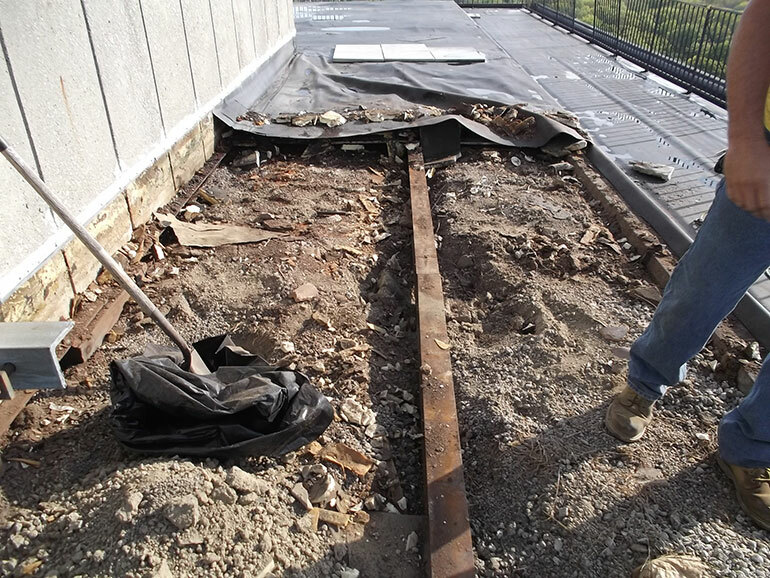 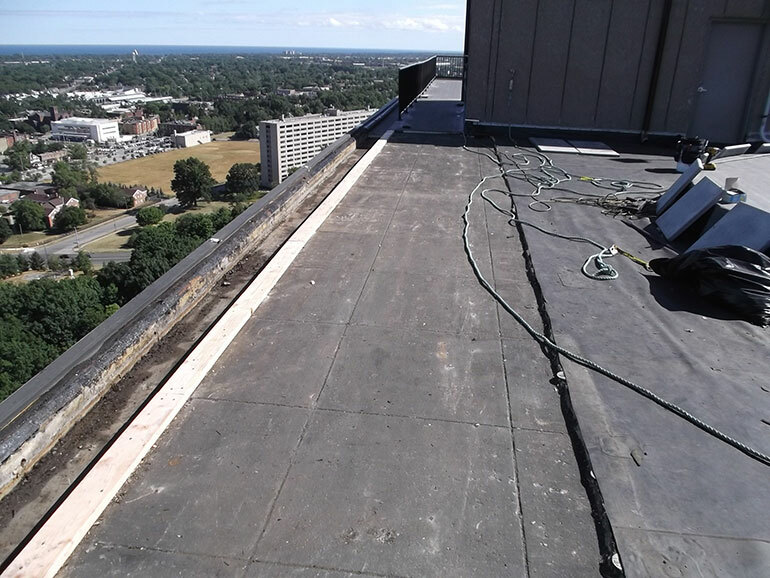 This Versico EPDM roof system is located in Cleveland, Ohio, less than a mile from Lake Erie.